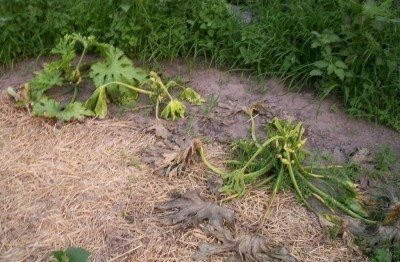 Although it’s not as commonly affected by bacterial wilt as cucumbers are, squash wilt is a common problem afflicting many squash plants in the garden. This disease can quickly destroy entire crops; therefore, becoming familiar with its causes, symptoms and proper wilt control management can help alleviate or prevent wilted squash vines. Often seen early on in the season, bacterial wilt is a disease that commonly affects these vine crops, including melons and pumpkins. It is caused by a bacterium (Erwinia tracheiphila), which overwinters within the cucumber beetle, a common pest that feeds on vine crops. Once spring arrives, the beetle begins feeding on young plants, like squash, thus infecting the leaves and stems. And, alas, squash wilt is born. Affected plants may first exhibit wilting of the leaves, which eventually spreads downward until the entire squash plant is affected. It differs from wilting caused by vine borers in that all leaves will be affected rather than sections of the plant as you might see with vine borers. In fact, an entire vine can wilt within only a couple weeks after infection. Typically, the fruits of affected plants will be wilted or poorly shaped. As is also the case with pumpkins, squash wilt does not occur as quickly as it does with other vine crops affected with bacterial wilt. In addition to wilting, pumpkins and squash plants may show signs of extensive blooming and branching with dwarfed, misshapen fruits. Affected plants will also ooze a sticky, milk-like substance when the stem has been cut. Many people aren’t sure what treatment is required when squash are wilting and dying once this bacterial infection has occurred. Unfortunately, the answer is nothing. Once the squash leaves start wilting, affected plants cannot be saved and should instead be promptly removed and disposed of. If unaffected vines in the garden have intertwined with those having squash wilt, you can allow the affected vine to remain, drying out until fall, at which time all vines can safely be removed. Be sure not to compost any affected squash plants. There are also a couple other things you can do to help prevent bacterial wilt, such as using crop covers over young plants to keep cucumber beetles from feeding on them. You can also keep weeds to a minimum and avoid planting squash vines near areas where cucumber beetles may be more prevalent. The most effective wilt control, however, is the removal and control of the cucumber beetles themselves. This should be done early in the season when vine crops (and pests) emerge. Spray the area with appropriate insecticide and continue treating at regular intervals throughout the growing season and up to two weeks prior to harvest. Controlling these pests is the only way to avoid squash wilt infection, as cucumber beetles will continue to feed on affected plants, further spreading the disease. 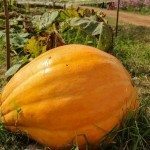 Don’t be hesitant about growing squash or other vine crops in the garden for fear of bacterial wilt infection. As long as you keep the garden free of weeds, which may harbor cucumber beetles, and take the proper precautionary measures for wilt control, you should have no problems.